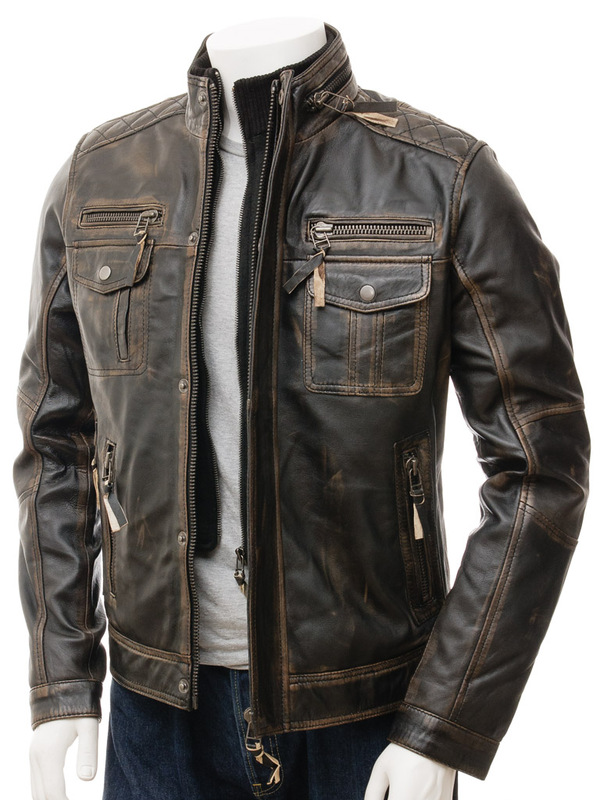 A tough, capable brown leather jacket with a detachable rib-knit collar insert. 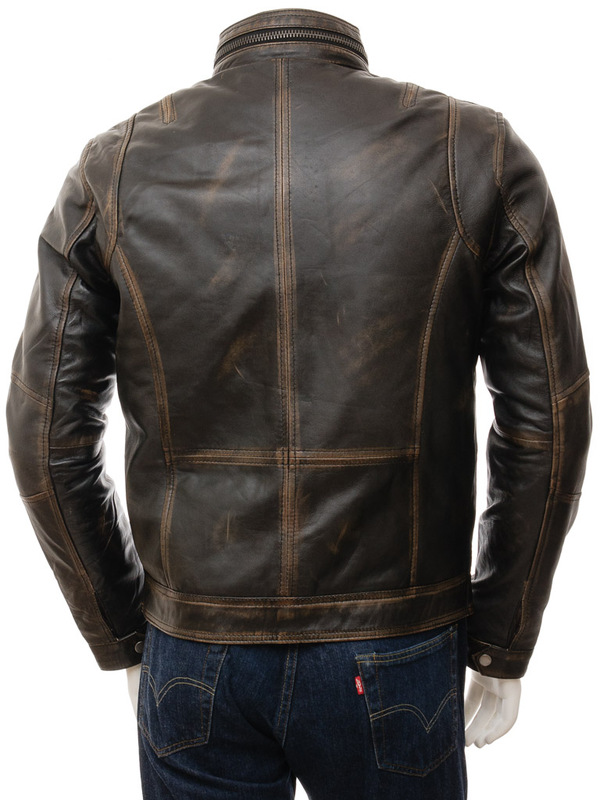 We have used a sheep nappa hide for this jacket that has been hand finished to a vintage finish on the seams. 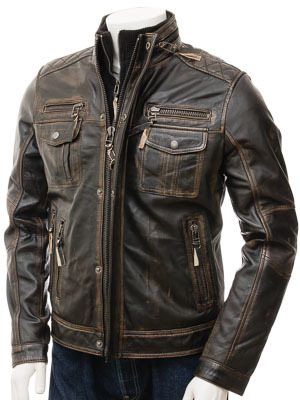 It features a rugged YKK zip front under a concealed press stud fly. 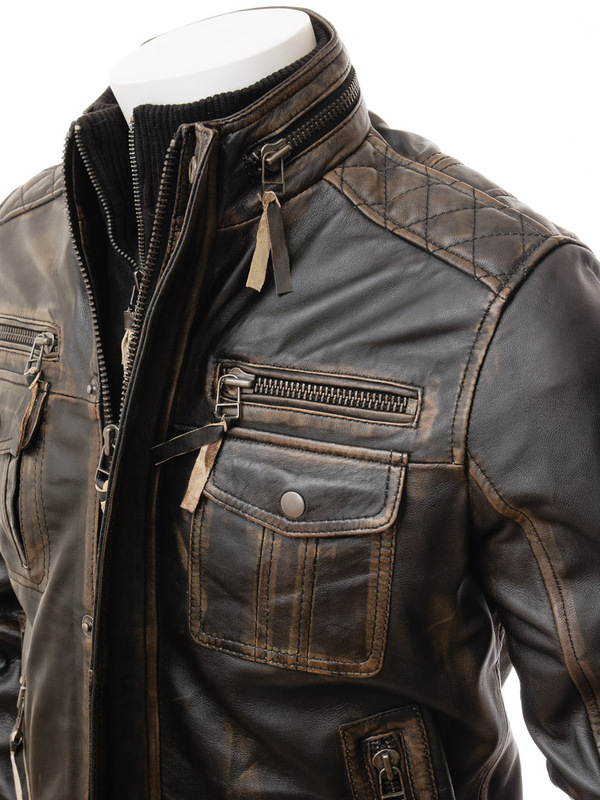 Around the outside of the collar is a zipped design feature whilst the shoulders sport quilt stitch detailing. 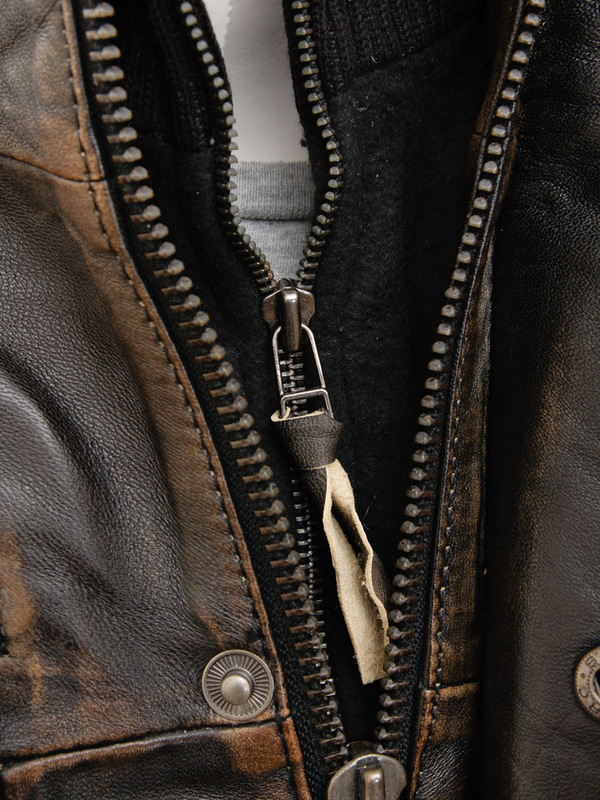 Zipped into the front is a fleece insert which runs up, around the inside collar and provides a secondary collar for extra comfort. Incredibly there are a total of eight external pockets on this jacket plus another three leather trimmed pockets on the fully lined interior so plenty of space to stash the essentials.